Donald the Dumb has hyped the issue of fake news all the time. Nevertheless, for our fake president, fake news items are those that are critical of him. Hence, they are fake. Having said that, fake news preceded Donald the Dumb. 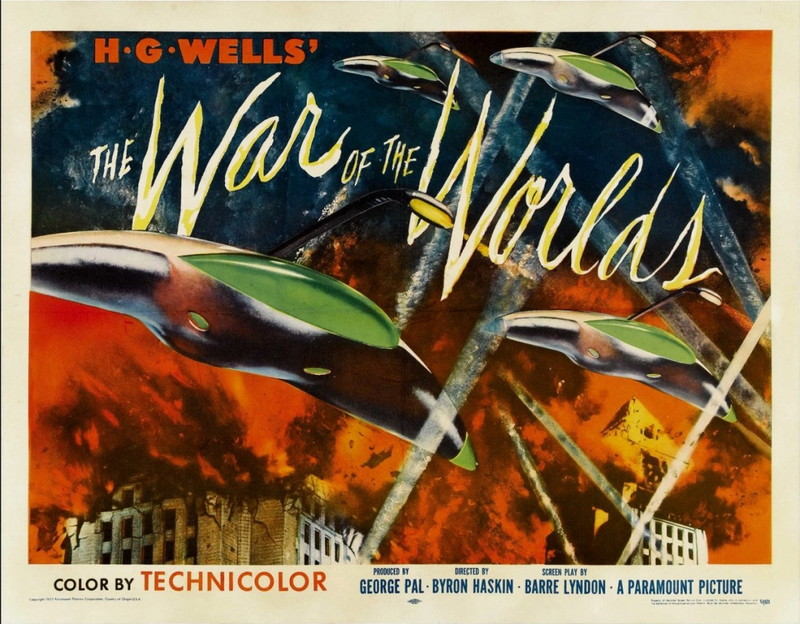 Orson Welles created an hour long fake news broadcast on Sunday, October 30, 1938 at 8 p.m. about the Martians invading the world. 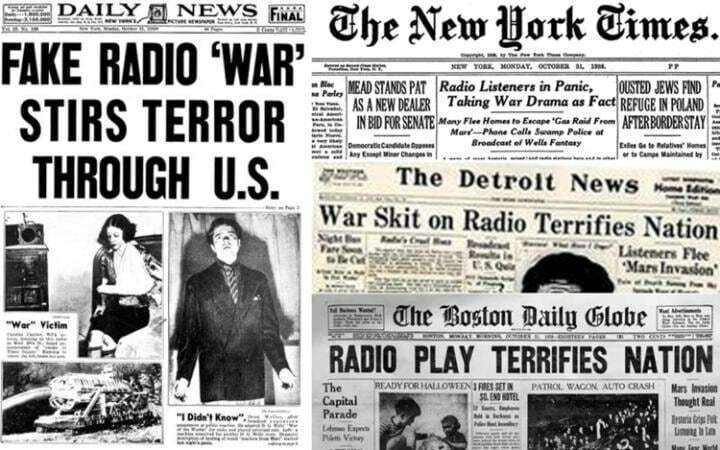 Nearly eighty-years ago, millions of Americans listened to the radio on Sunday evening. Sunday night radio was considered prime time broadcasting. However, a large majority were listening to NBC’s program featuring Edgar Bergen and Charlie McCarthy. 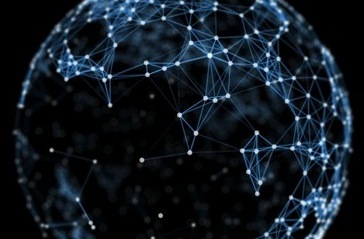 Nevertheless, during a break in NBC program, many turned to another station. When they turned to CBS’s The Mercury Theatre, they heard about the invasion of the Martians. Welles was the announcing about being invaded from another planet. The result of Welles’ news produced sheer terror in the minds of millions of Americans. 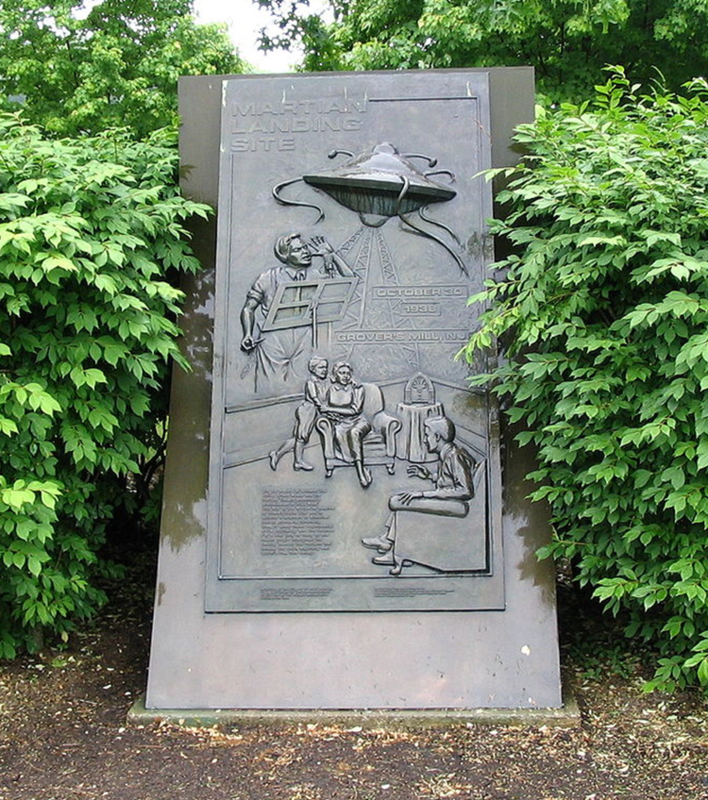 Many believed that Martians had invaded the world. However, what struck home to many was the reporter describing what he saw in Grover’s Mill, NJ. Good heavens something’s wriggling out of the shadow like a gray snake. Now here’s another and another one and another one. They look like tentacles to me … I can see the thing’s body now. It’s large, large as a bear. It glistens like wet leather. But that face, it… it … ladies and gentlemen, it’s indescribable. I can hardly force myself to keep looking at it, it’s so awful. The eyes are black and gleam like a serpent. The mouth is kind of V-shaped with saliva dripping from its rimless lips that seem to quiver and pulsate. The Martians are attacking America. Nevertheless, the next day dawned without any fear-filled people without having the Martian invaders camped out in their backyards. These are some of the headlines of various newspapers. This is a monument placed in Grover’s Mill depicting the fake news allegedly reported from that small town. However, it took a half century to erect this memorial in 1988. Apparently, they waited until those that were traumatized had already died due to old age and not by the onslaught of the Martian invaders. Welles was 23-years old when his drama terrorized many Americans with his Halloween broadcast. 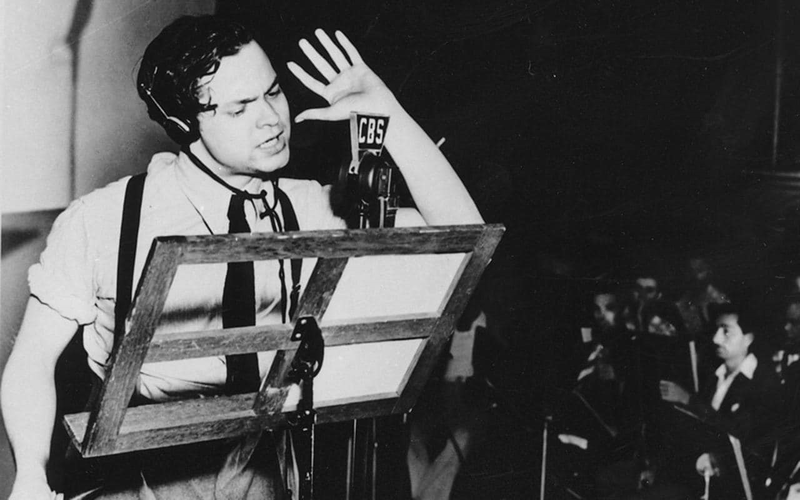 Orson Welles merely adapted for radio H.G. 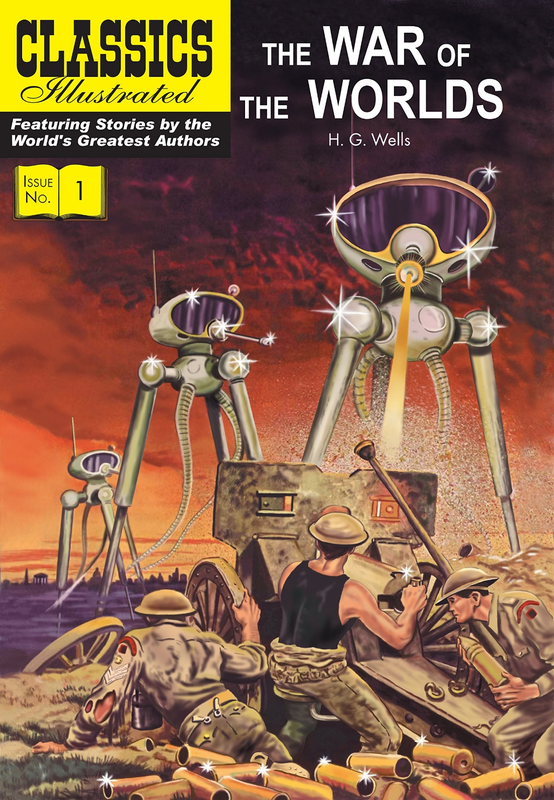 Wells’ serialized The War of the Worlds published in 1897. In 1953, H.G. 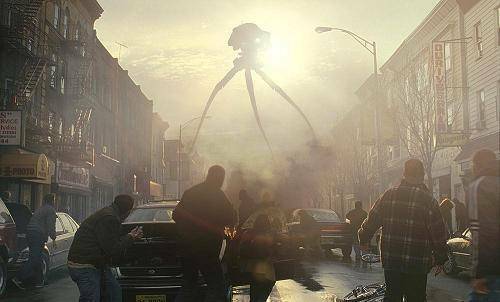 Wells’ The War of the Worlds was made into a movie. 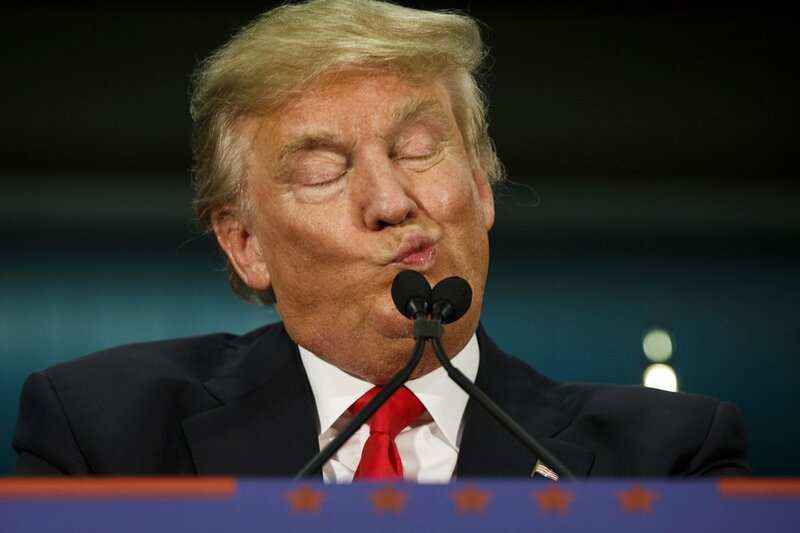 While America has had nearly eight decades of being traumatized by fake news like the Martians invading the world, it is different now with Donald the Dumb’s fake news claims. Nonetheless, I am terrorized by having a fake president. Regardless, Happy Halloween. This is a video of the radio broadcast of War of the Worlds. This is a video about reflections of Orson Welles about extraterrestrials.